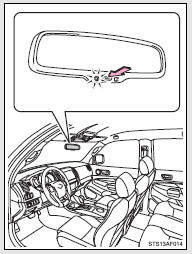 Glare from the headlights of vehicles behind can be reduced by using the following functions. In automatic mode, sensors are used to detect the headlights of vehicles behind and automatically reduces the reflected light. 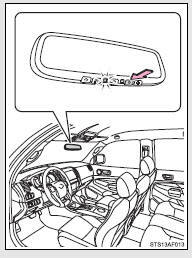 The mirror will revert to the automatic mode each time the engine switch is turned on. 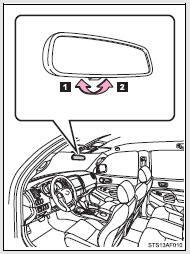 The inside rear view mirror displays the following information. Doing so may lead to mishandling of the vehicle and cause an accident, resulting in death or serious injury.